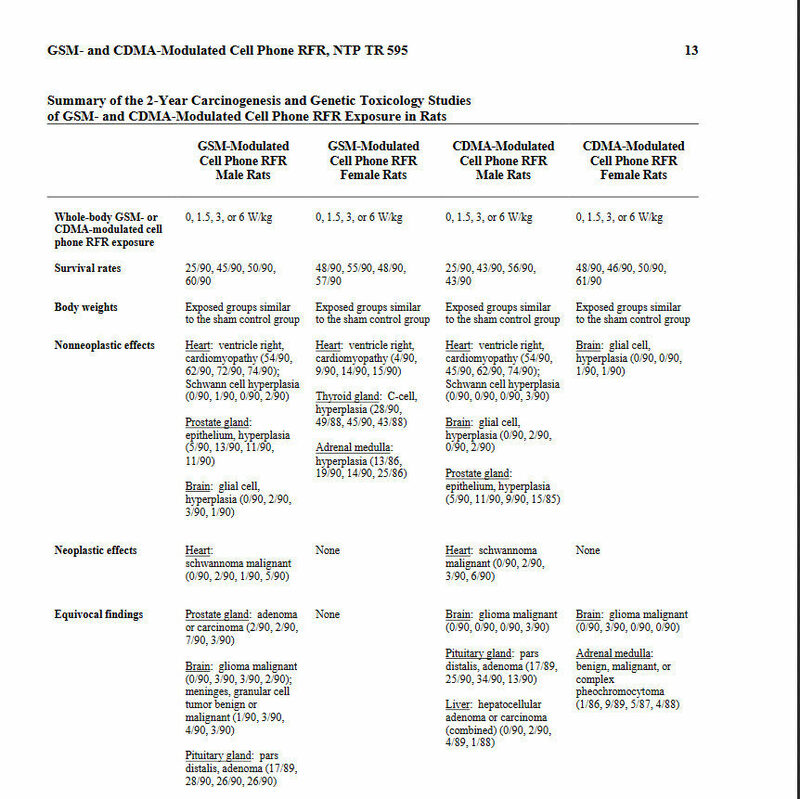 The study of the scientists from the National Toxicology Program (NTP), the agency attached to the National Institute of Environmental Health Sciences (NIEHS/NIH), marks a new turning point in the understanding of the risks to human and animal health related to the strength of mobile phone radiation. Lasting ten years with a budget of 25 million dollars, serious findings of the two reports (on rats and mice) released on February 2, 2018 should put an end to the strategy of the denial of risk and doubt orchestrated by the manufacturers in the sector to promote their economic development. It is a safe bet that they will embark on a new campaign of disparagement at the NTP meeting on March 28 to render their conclusions after the scientific community has been able to present all their observations and comments. The findings of this study confirm an increase in malignant and benign tumors of the brain (gliomas) in rats more than in mice and also tumors of the heart (schwannomas) as well as many and varied more or less serious pathologies affecting the heart (cardiomyopathy), thyroid and prostate (hyperplasia). The high radiation levels used by the NTP scientists up to Specific Absorption Rates (SAR) of 6 to 10 W/kg show significant biological effects in fetal development and genotoxic effects on cells (in particular the hippocampus of male rats). It is these same and even much higher levels that were measured during the tests carried out of SAR extremities and body by the National Frequencies Agency (ANFR) between 2012 and 2016 on nearly 270 mobile phones. These measurements were revealed by the National Agency for Food, Environmental and Occupational Health and Safety (ANSES) in its July 2016 report entitled, “Exposure to Radiofrequencies and Child Health”. Dr. Marc Arazi, whistleblower for Phonegate, continues to lead a difficult legal fight to obtain the complete publication of the reports of measurements that ANFR and its parent ministry still refuse to make public. Finally, and this is a particularly important point in the context of the development of new frequencies for mobile telephony, the two ranges tested by the NTP, namely 900 MHz GSM and CDMA do not have the same biological effects and do not cause the same pathologies. This clearly confirms the need to conduct risk studies for human and animal health before any new launch of frequencies, such as 5G that will soon flood the planet. With the help of scientists as permitted by the current “peer review” period, we will therefore be submitting to the NTP team the information available to us regarding the data from the Phonegate measurements in order to obtain their opinion at the meeting scheduled for March 28, 2018.